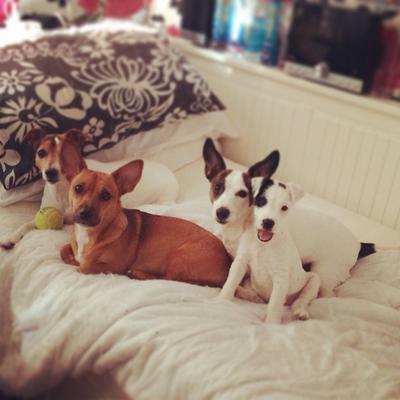 We recently got our 4th pup who is a jack Russell terrier cross Lakeland terrier, we also have Roxy who is a jrt, katie who is also a jrt and Sadie who is a chocolate jack Russell terrier, the pup is called Lola. What a lovely fur family you have. Such a sweet captivating photo!